I have been doing a bit of steel turning on the Taig lately again and have been having trouble parting off and form turning. I needed to slow the spindle speed right down. I didn't want to go and spend more money on a DC variable speed drive, plus I don't think they have enough torque at low speeds, so I decided to keep my trusty induction motor. I needed a countershaft. 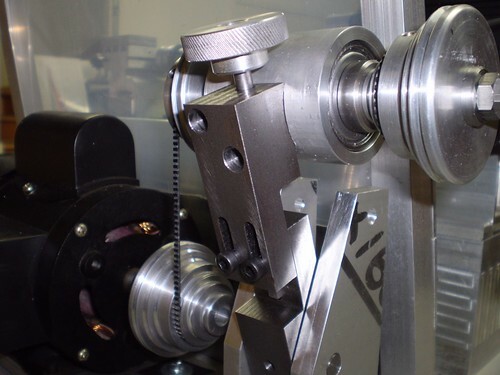 I wanted a compact design that allowed me to adjust the belt tension easily in both directions and also allowed for quick changes of speeds. I sketched something up. 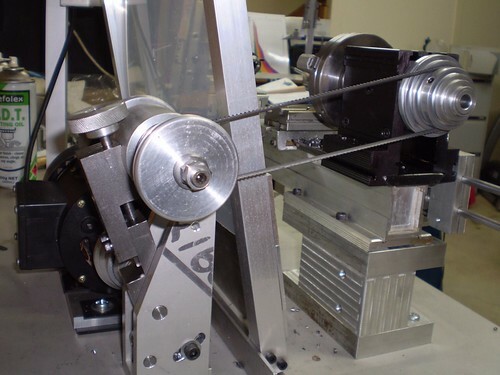 As you can see from the design, the countershaft is mounted on a pivoting arm that pivots around the same axis as the motor shaft. 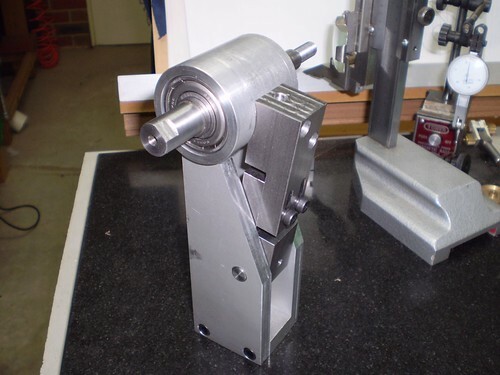 In this way I can adjust the tension between the motor pulley and the countershaft without disturbing the tension between the lathe and the countershaft. 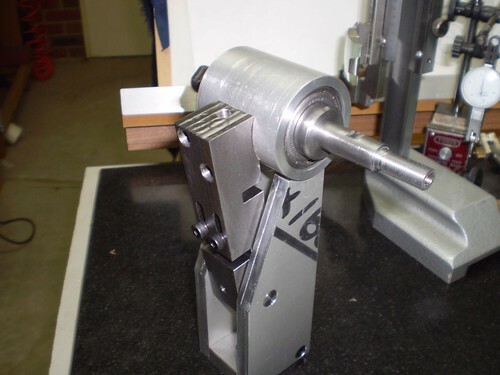 Similarly the tension between the lathe and the countershaft can be adjusted without disturbing the other belt. I also ended up with an assembly that was very compact. I started to turn sketch into metal.